We have a new system in place for lockers this semester. Every locker in the building now has a college-provided padlock. Students will use an online system to request a locker. 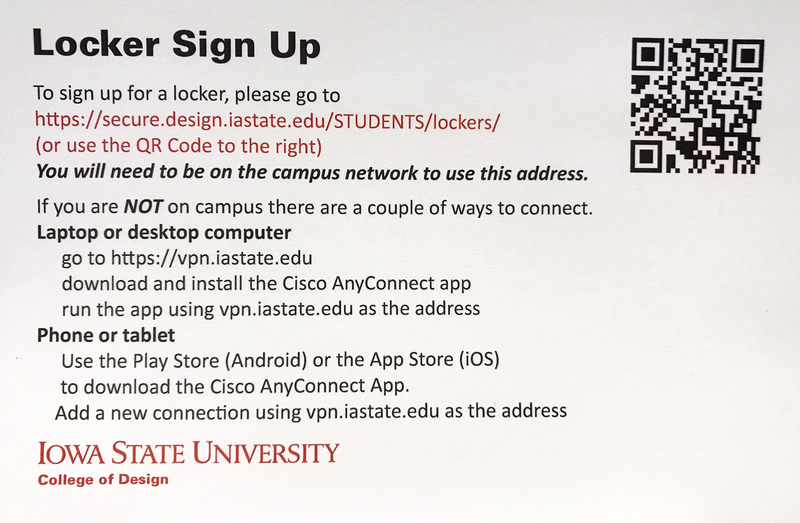 When the locker is assigned, they will receive an email with the combination for the lock. You will need to be on the campus network to use this address. If you are NOT on campus there are a couple of ways to connect. Use the Play Store (Android) or the App Store (iOS) to download the Cisco AnyConnect App.